SUNDAY, JANUARY 20th - CANCELLED DUE TO WEATHER, NO MAKE-UP DATE. 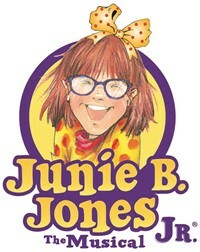 Today’s rescheduled performance of Celina Middle School’s Junie B. Jones, Jr. is CANCELLED due to the weather. There will be NO make-up performance. If you have prepaid tickets and desire a refund, then please stop by the Middle School office this week between Wednesday and Friday with your tickets. Unclaimed refunds will be considered a donation. Thank you. Featuring a tremendously loveable character and fun-filled songs, Junie B. Jones will capture your hearts just as the books captivated an entire generation of students. Performances are January 11th and 12th at 7:30 and January 13th at 3:00. THE SATURDAY, JANUARY 12TH PERFORMANCE HAS BEEN CANCELED DUE TO WEATHER AND RESCHEDULED TO JANUARY 20TH AT 3:00 PM. Performances are January 11th and 12th at 7:30 and January 13th at 3:00 in the Celina Education Complex Auditorium.